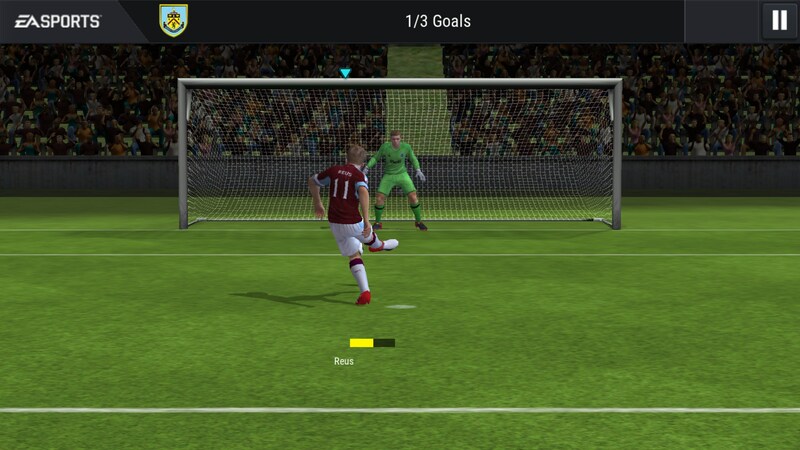 FIFA Mobile Soccer – Games for Android 2018 – Free download. 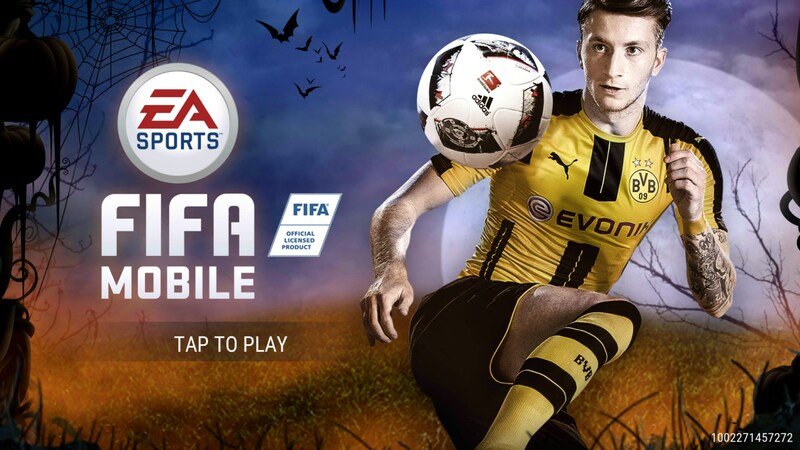 FIFA Mobile Soccer – Fifa Mobile is a lite version of the full game. 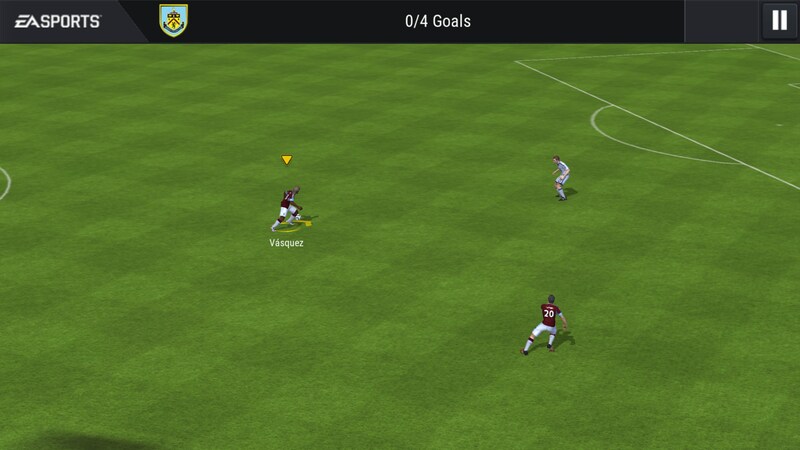 Fifa Mobile for Android isn’t just a mobile game in name alone. 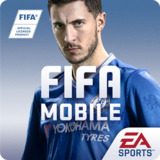 This is a somewhat full-fledged soccer game that went from focusing primarily on the gameplay to focusing primarily on the mobile aspects of said gameplay. Compared to previous iterations of the game under its former name, this is more of a snack to grab on the go rather than a full meal. As soon as you jump into the game you’ll be taken through a tutorial that lasts around ten minutes. Here you’ll learn how to play the game’s many mini-games, the controls and just a general overview of how the game’s mechanics work. Considering all of the game’s features, I think the tutorial respects the player’s time and isn’t too in-your-face about teaching you obvious features. 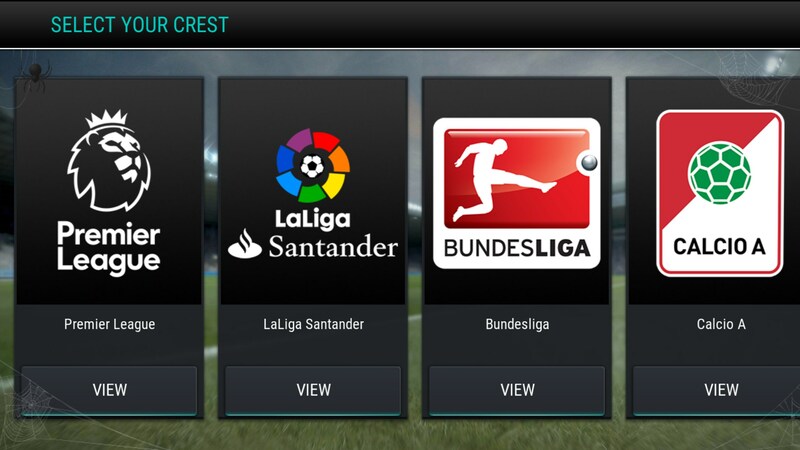 Gameplay revolves around building the best soccer team you can based on cards you’ll receive as you play through the game. Right after the tutorial, you’ll be given a pack of cards to unpack. 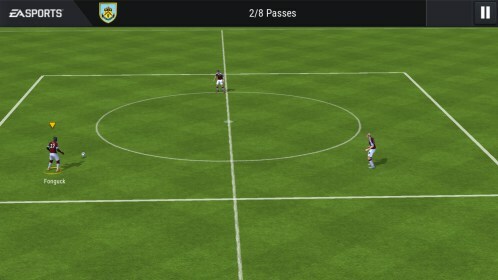 These cards will form your very first team. 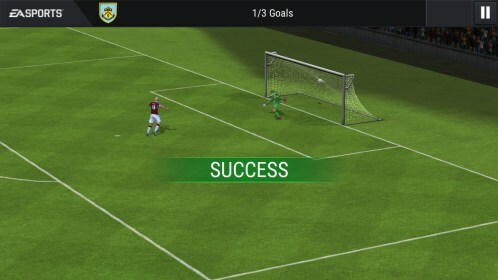 When the game lets you out into the real world you’ll go through quick live events, which are short gameplay segments that will earn you experience points and money. Experience points will let you have more stamina while cash lets you buy new card packs. Buying new card packs means you’ll eventually be able to recruit stronger players on your team. 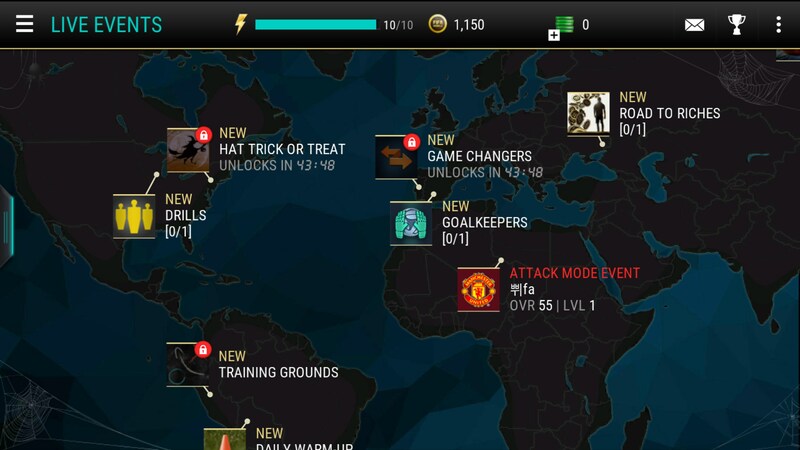 Each of these live events are short mini-games. Sometimes you’ll practice shooting targets, other times you’ll be required to go one-on-one against a goalie. 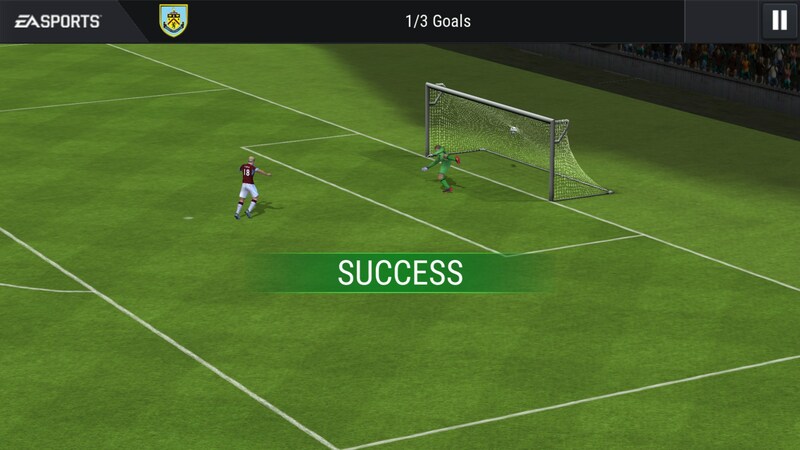 Doing these live events requires stamina and if you run out of stamina then you have to wait until you generate more. The gameplay here is really fluid. A lot of times you’ll just swipe in certain places to shoot, but you can also talk complete control of characters when you’re in real matches. 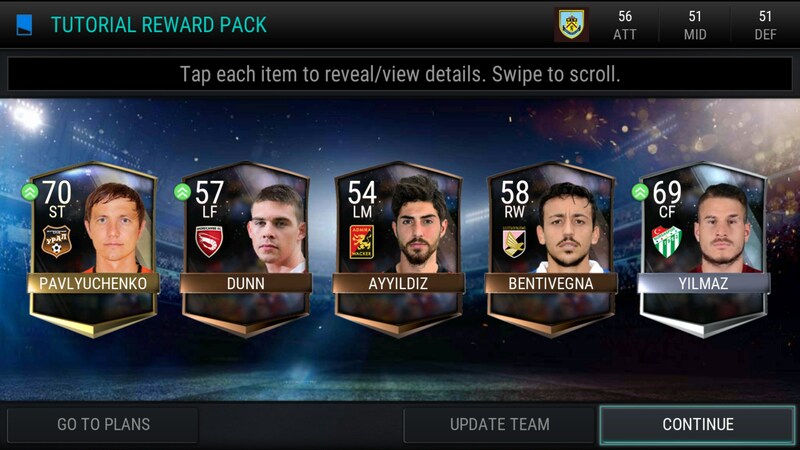 I came away from Fifa Mobile feeling good and bad about it. On one hand, playing the game actually feels really good. 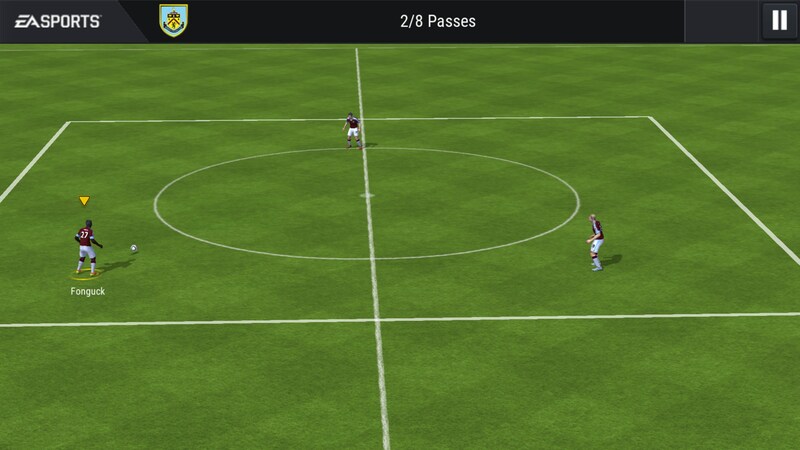 It’s one of the few games with virtual buttons that are responsive and easy to use. On the other, progression feels completely random and out of my hands due to the way it happens. 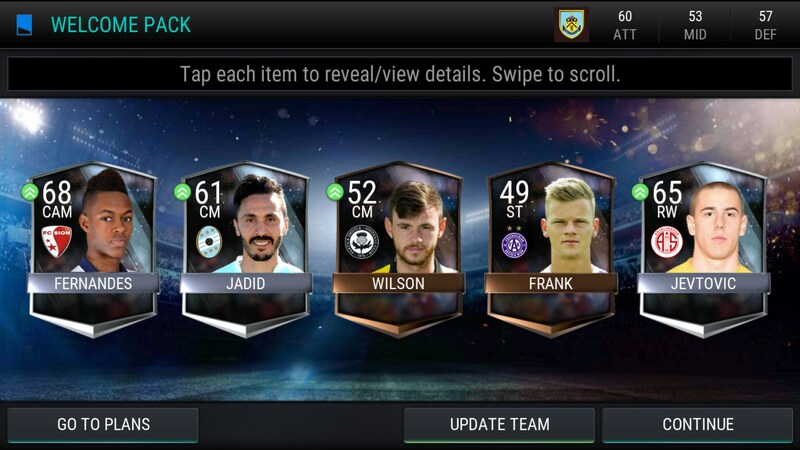 It would be great if players could be leveled independently from opening more card packs. Will you enjoy it? That depends. If you’re looking for a full soccer game then this isn’t it. But if you’re looking for a bite-sized one then it’ll work fine.